You must be a member of the Trier Social Group to attend this activity. Would you like to join this group? what better way is there to climb into the new year than from a cellar? None, right? 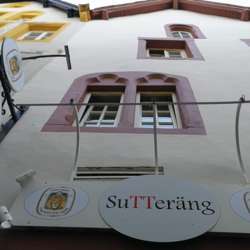 So, let's meet in one of the most cost cellars of Trier: the Protected content ... Literally, the name means to be below ground. For the competitive ones among you: we will have a dart board (deja-vu) and a kicker. Challenge me! You will have walked down the stairs and left Protected content you. Then you will have climbed them back up after a few drinks and a kicker victory and start Protected content a few drinks, new experiences and a few friends.